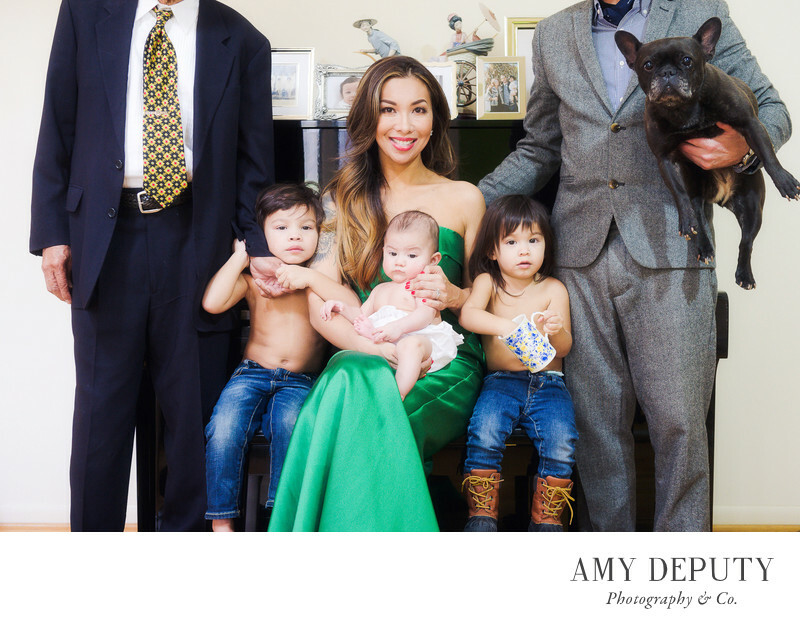 This photograph of a woman surrounded by her children, husband, father, and pup taken at a private home in Glyndon, Maryland, is not your conventional family portrait. One may say, “You cut off the two men’s heads!” Yes. True. But this is no mistake. It is intentional framing. Sometimes a little change in perspective can make for a very interesting photograph. By cropping this image so that the eye hones in on the woman and her three small kiddos (and pup! ), the focus becomes one of motherhood. This image highlights that special bond of a mother and her wee ones within the family as a whole. For this moment in time, the spotlight is on mom.